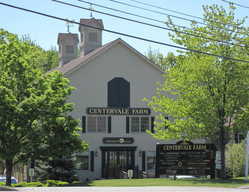 Residential and commercial growth has continued into the present century. 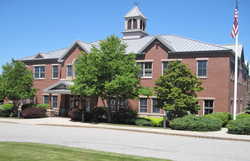 Scarborough is no longer the small town it was in the mid-1900s; it is one of the fastest growing communities in Maine. 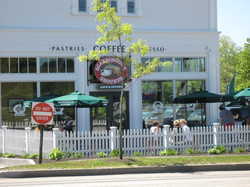 Its small-town character, proximity to Portland and Boston, excellent schools, abundant undeveloped land and easy access to mountains and the sea are factors that have attracted families and businesses. Realizing the impact of growth on services and the neighborhood "feel" of Scarborough, in 2002/2003 the town initiated a series of neighborhood meetings to solicit citizen input prior to the 2006 Comprehensive Plan Update. 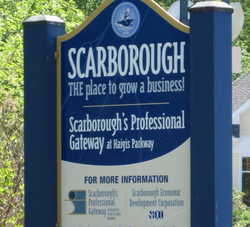 It is anticipated that the Comprehensive Plan will serve as a blueprint for controlled growth and preservation of natural resources while maintaining Scarborough's small-town character. Acts and Resolves Passed by the General Court of Massachusetts. "An Act for Establishing a Turnpike Corporation Within the Town of Scarborough." Chapter 34,1802. Chapman, Leonard B. Monograph on the Southgate Family of Scarborough, Maine. Portland, ME: Hubbard W. Bryant, 1907. Chase, Georgiana. Stratton's Islands of Saco Bay, An Interwoven History 1605-1993. Fort Bragg, CA: Mendocino Lithographers. Holland, Rupert Sargent. The Story of Prouts Neck. Prouts Neck, ME: Prouts Neck Association, 1924. Jones, Herbert G. The King's Highway from Portland to Kittery. Portland, ME: Longfellow Press, 1953. Karr, Paul and Jeff Clark. "Oasis of Wilderness." Down East Magazine, September, 1995. Leamon, James S. Revolution Downeast: The War for American Independence in Maine. Amherst, MA: The University of Massachusetts Press, 1993. Libbey, Dorothy Shaw. Scarborough Becomes a Town . Freeport, ME: The Bond Wheelwright Co., 1955. Moulton, Augustus. Grandfather Tales of Scarborough . Portland, ME: Katahdin Publishing Co., 1925. Moulton, Augustus. Old Prouts Neck. Portland, ME: Marks Printing House, 1924. Paine, Lincoln P. Down East: A Maritime History of Maine . Gardiner, ME: Tillbury House, 2000. Scarboro Register, 1905. Compiled by Mitchell & Campbell. Brunswick, ME: H.E. Mitchell Co., 1905. Snow, John O. Secrets of a Salt Marsh. Portland, ME: Gannett Books, 1986. Southgate, William S. History of Scarborough from 1633 to 1853. Portland, ME, 1853. Sylvester, Herbert Milton. The Sokoki Trail. Boston, MA: Stanhope Press, 1907. Ware, Moses Weld. Beacon Light in the History of Prouts Neck. Prouts Neck, ME: Prouts Neck Association, n.d.
Woodard, Colin. The Lobster Coast: Rebels, Rusticators and the Struggle for a Forgotten Frontier. New York: Penguin Books, 2004. York Deeds. Vol. II, 114.